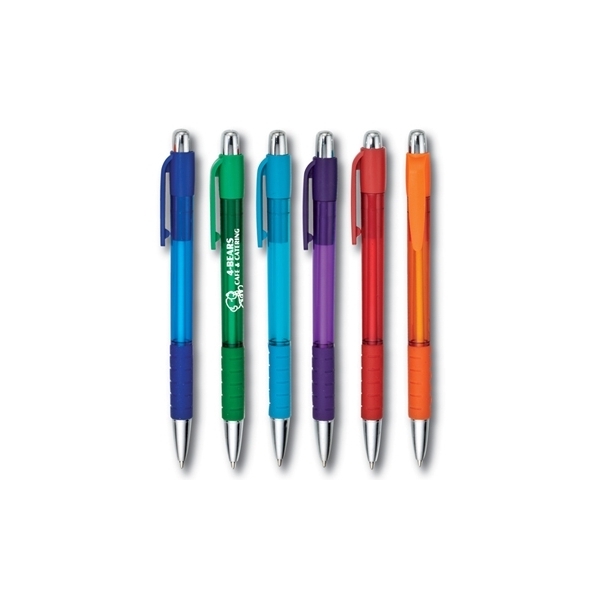 This retractable style pen offers a translucent colored barrel, opaque colored clip, matching rubber grip and chrome accents. This is just a Great Pen for An Amazing Price. Prints great in Black or White, depending on the colors you choose. Medium point black ink. Save on this custom pen with FREE setup, FREE rush service, FREE artwork and FREE shipping. 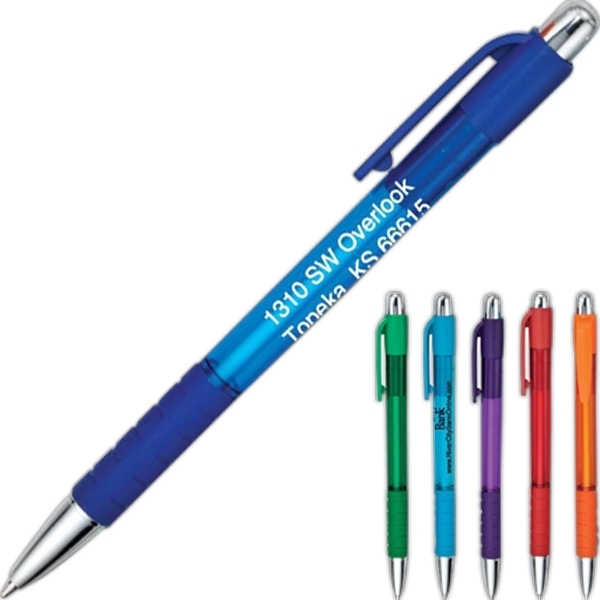 Product Features: Retractable pen, translucent colored barrel, colored clip, matching rubber grip. 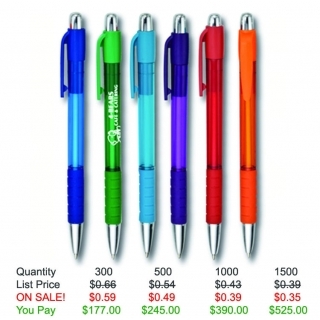 Item Color: Blue, Green, Light Blue, Purple, Red or Orange. Imprint Size: 1 3/4" x 1/2"